This topic contains 5 replies, has 2 voices, and was last updated by Ben Cowan 1 year ago. Well I wanna touch on Inland courses with particularly heavy soils. Creating interest in fairways with ripples? Man made Burns instead of irrigation ponds. 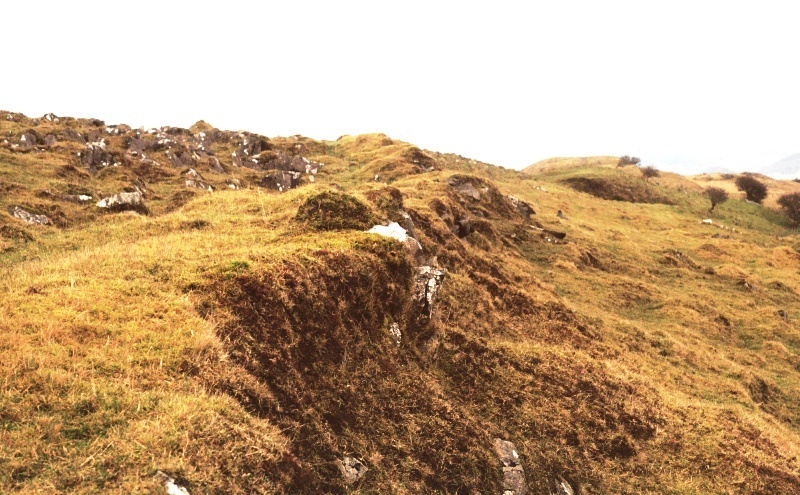 Turf Dyke, what exactly is it? The 1980’s led to some uninteresting mounding all over the place, I’ll pass. Why not man made vertical gully’s with different grass textures? What are your thoughts? Not everyone lives by sandy soil, very lucky here in Michigan to be so close to great soils and land, but sometimes I don’t wanna travel. This topic was modified 1 year ago by Ben Cowan. 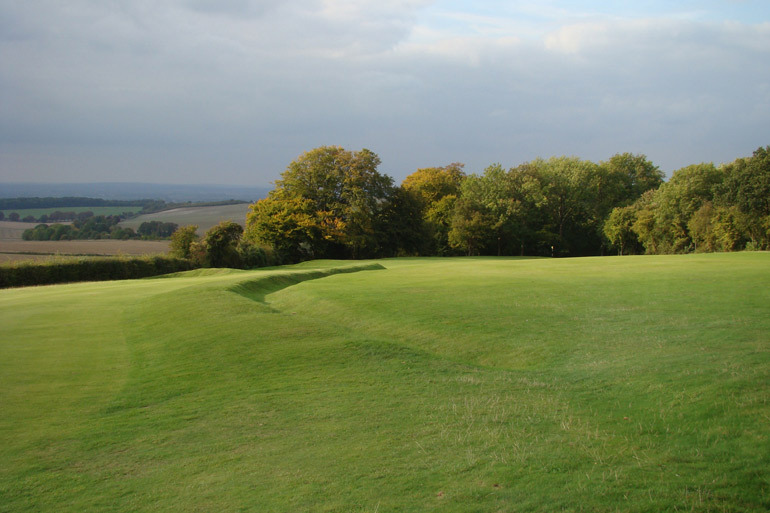 Turf Dykes – this is an item much loved and used in pre 1900 golf course design for inland courses. Many have been removed but most were done to resemble the contours and undulations much seen on The Old Course St Andrews. Today few of the old course still have them, this modern idea of well groomed courses taking over from Nature and Natural, while in the process of make the modern course even duller. However please to say such courses like Tarland (https://www.tarlandgolfclub.co.uk/) still have the odd one or two. tarland was the private course of the Earl of Aberdeen designed by Tom Morris and open up to locals from the area in 1908. The 6th Hole & 9th Holes had a double turf dyke protecting the Green. The design are very simple sometimes about 3-5M long x 2-3 wide to a height of 0.5-0.75M, looking more like undulations than anything else and were very much the MO on inland Scottish courses circa 1890’s. If you look at the gallery on Tarland web site photo 5 you will se an example of one to the top left hands side of the photo. Great ideas, however not much used, pity and they can just cause one a little problem as you near the pin. love them as it can make you think – which is what golf is all about. How about the hollow or man made gully created at the first at Huntercombe? Tarland Turf Dyke looked like it was a grass mound that looked like grass bunker from behind the green looking back? 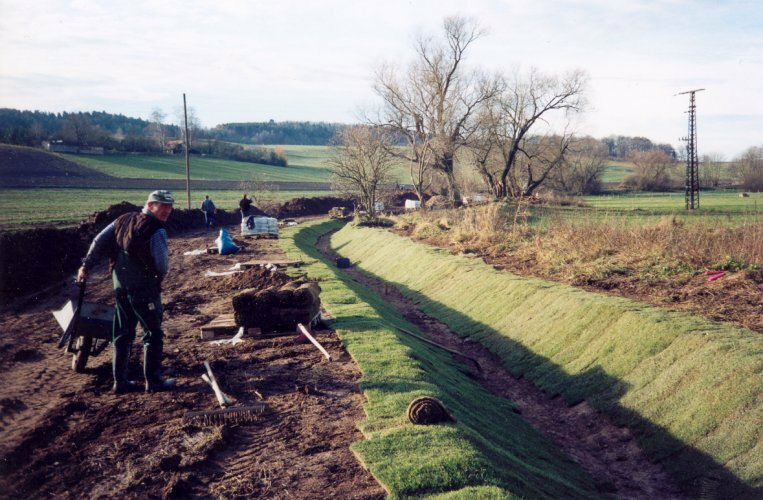 Turf dykes are just the construction methods – W Park Jr used dykes of various forms to replicate all form of hazards, this was done well before his time. Grass bunker today was a turf dyke in the 19th century – as I mention many times before the guys from the 19th Century developed much which today is forgotten – why, because we don’t or rather designers don’t know the history of their own industry. You just have to look at the many Holes that they developed in the 19th Century and have since been reproduced or copied all over the world i.e. Redan, Road Hole, 1st at Machrihanish to name but a few. The 19th Century produced wonderful designs that made golf so interesting and challenging that it went worldwide – it was a Golden Age of Golf and more so Golf course design – the then designers took the test to the would be golfers – today the game has mellowed, I hear all talking about how hard some Holes are, but think back to the days when Hickory and gutty was the order of the day on courses not as well prepared as they are today (in fact I wonder if half the pro game would have played upon some of the old courses as they were not golfer friendly are required golfer to PLAY Golf). But, so many just don’t understand the design history of golf , and it seems neither does the R&A, then I wonder if they ever did!